We calculated all the electromagnetic observables for the nucleon and its lowest-lying Δ(1232) excitation within a constituent quark model for those two baryons based on the covariant spectator theory. Once the reactions γ N → N and γ N → Δ were described, we predicted without further adjusting of parameters the four electromagnetic Δ form factors: the electric charge G E0, the magnetic dipole G M1, the electric quadrupole G E2 and the magnetic octupole G M3. The results are compatible with the available experimental data and recent lattice QCD data. 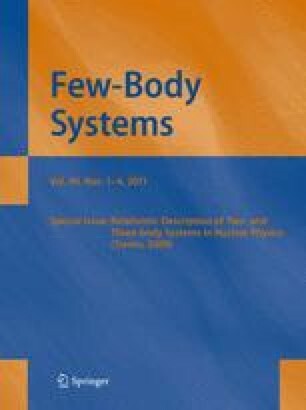 “Relativistic Description of Two- and Three-Body Systems in Nuclear Physics”, ECT*, October 19–13 2009.